Take a moment to think about your dream house. What is it made of? Where is it? What kind of stuff do you have inside to make you feel comfortable, safe, and happy? It’s OK to be picky. It’s your dream house, after all. Now, if you are fantasizing about a small wooden box in a garden that features a single room full of soft insulating materials that smell like mouse urine, there is something you should know. You might be a bumblebee queen. If that turns out to be the case, it would be wise for you to befriend Dr. Doug Golick at the University of Nebraska–Lincoln. As an assistant professor of entomology, Golick leads a research project called Bumble Boosters, which is equally intent on learning more about bumblebees, promoting the biological and pollination benefits they provide, and finding new ways to get the public involved, from funding to fieldwork. 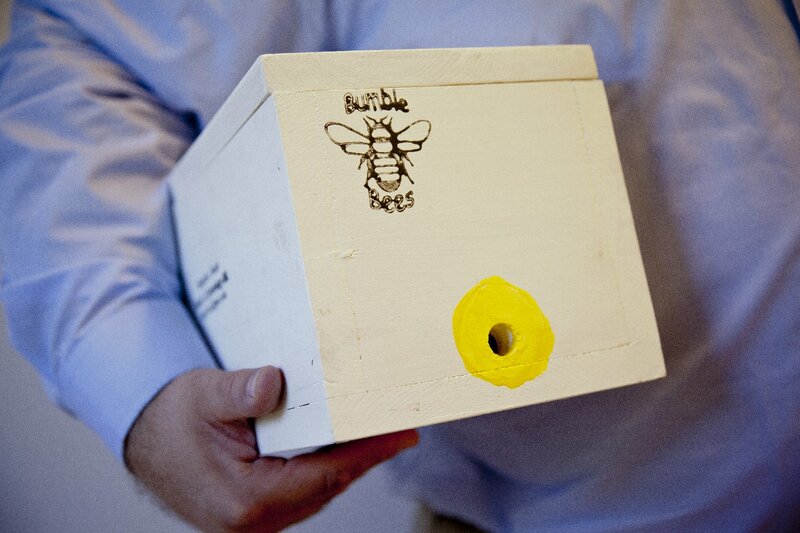 Dr. Doug Golick poses for a portrait with one of his bumblebee box prototypes. Much of the Bumble Booster research includes understanding what bumblebee queens look for in a home, with the hope that a greater number of attractive domiciles will create less competition among queens for a place to establish their colonies. Queens frequently colonize abandoned, underground rodent dens, but according to Golick, dead queens are often found in the corners of these dens, having lost the battle for the real estate. In theory, a greater number of acceptable domiciles would eliminate these battles and provide a population boost, but so far no human-designed bumblebee home has proven to be up to snuff compared to a good, old-fashioned rat hole. “There are a lot of designs out there that are published,” said Golick, but “very few are having any sort of success.” Golick explained that a box with just 10 percent of the domiciles colonized is currently recognized as “good” success, but most of the existing design prototypes have barely any colonization occurring. A bumblebee checks out a pink cosmos in southeast Nebraska. But to him, what a doe-eyed, fuzzy, striped, and generally docile bumblebee lacks in economic value may be made up for by its ability to get the ordinary citizen interested in science and habitat conservation. Golick agreed that bumblebees could take on the same role as pandas, elephants, wolves, and other “charismatic megafauna” used to spur public interest in conserving habitats that also support less charming but equally at-risk or endangered species. Louise Lynch, a PhD student at UNL, studies the behavioral and educational outcomes of citizen science projects. 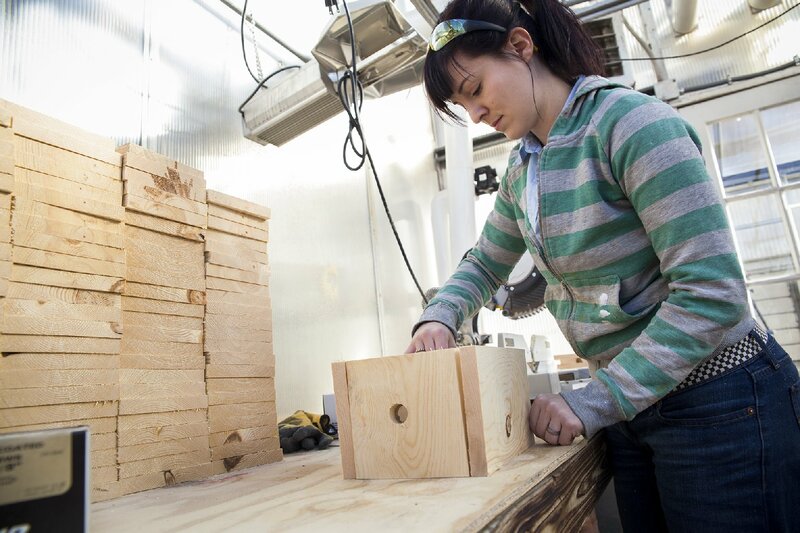 Here she is seen constructing a Bumble Booster bumblebee box, which will be completed and distributed before spring 2014. 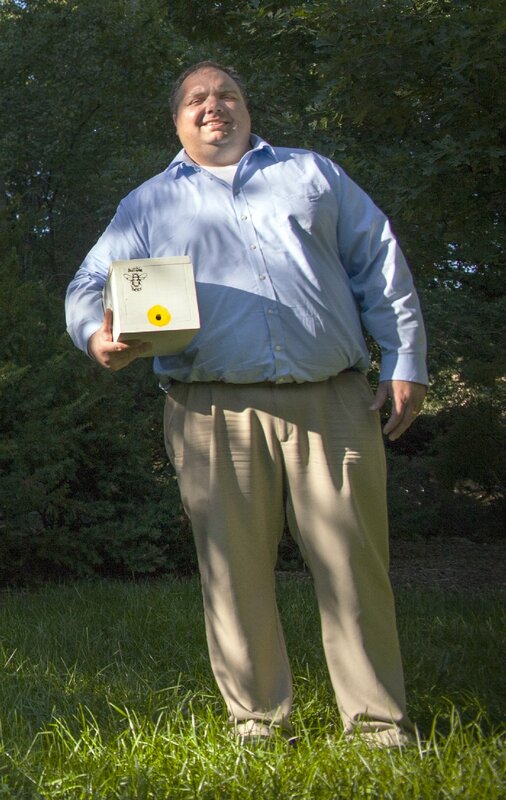 With that in mind, he launched a Bumble Boosters Kickstarter campaign in May 2013, and through its success, crowdsourced the funding to construct 200 bumblebee boxes on the UNL campus. 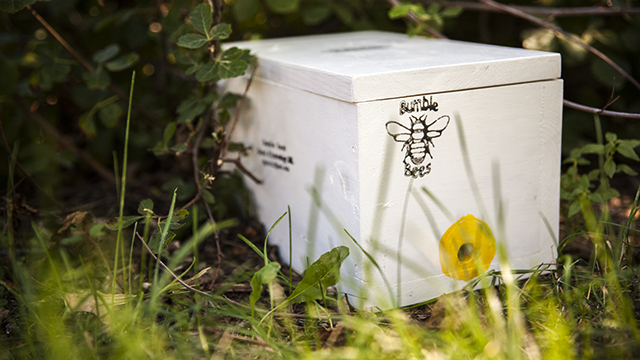 Sometime prior to spring 2014, contributors who donated $100 or more will receive their very own box to set up in a place where a family of bumblebees would be welcome, such as a flower garden. Time will then tell whether or not the box design is successful. 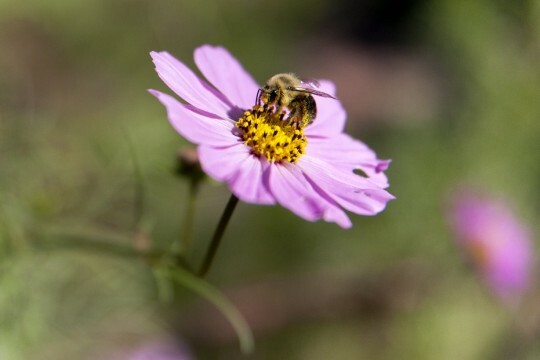 As much as the team would like to discover the formula for making a bumblebee dream house, an equally important goal is to learn how these citizen scientists engage in the scientific process and what individuals do in their communities to get friends and neighbors involved in scientific pursuits. Dr. Doug Golick carries one of the Bumble Boosters bumblebee box prototypes. Associate Producer for QUEST, NET Nebraska.